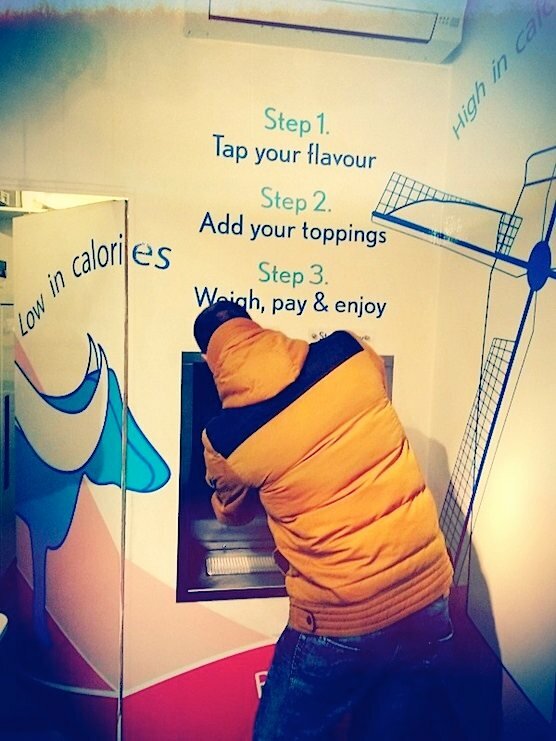 Koel, the first self-service frozen yogurt shop in The Netherlands. The half full yoghurt is organic, 100% natural and it contains less than 100 calories! It’s delicious!! 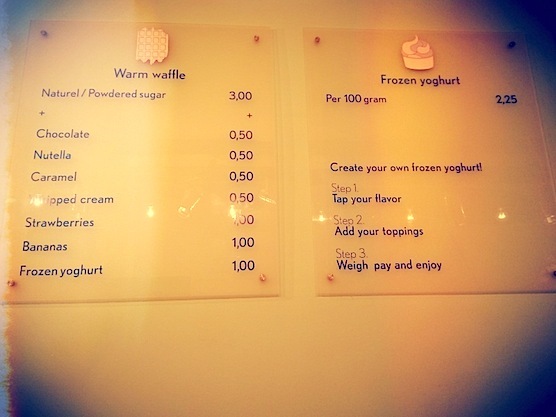 At Koel, you can tap your own frozen yoghurt. Afterwards you can add your toppings yourself. You decide the quantity. The more you add, to more you pay. Pretty straightforward! 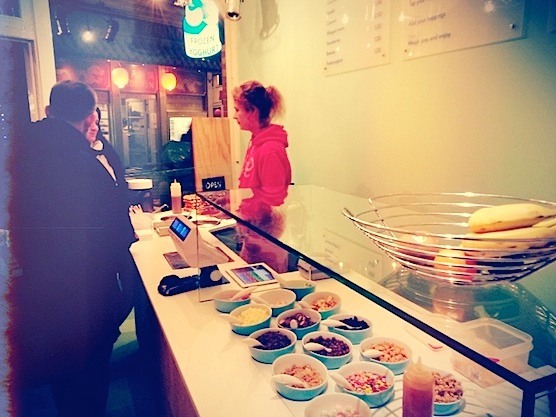 Koel offers around 15 different toppings for your frozen yoghurt. Fruit, sweets, etc. Everything is freshly made too! This is how Koel’s menu looks like. 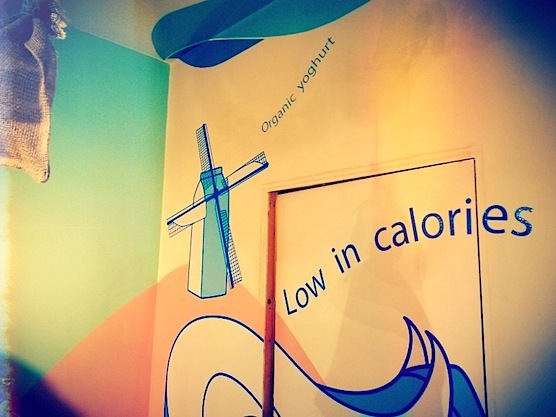 So, you can choose between warm Dutch waffles and organic frozen yoghurt. Prices vary between 2,25 and 5 Euro. Depending on the number of toppings. Wanna try a Dutch waffle? Then we would like recommend you to take the Nutella topping. It’s sooo good! Here it is… A big jar of Nutella. Get into my mouth you, Nutella! 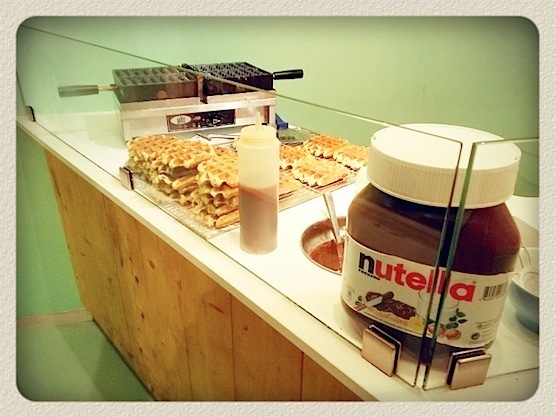 Dutch waffles and Nutella is definitely one to keep in mind. This Koel shop is located in Amsterdam’s Red Light District. They’re established on the Zeedijk (Sea Dyke). 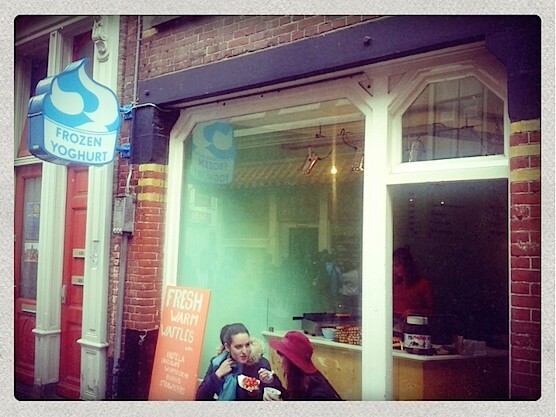 During our tours we pass by this frozen yoghurt and waffles shop. If you like to we could make a stop here, to get some of this deliciousness. 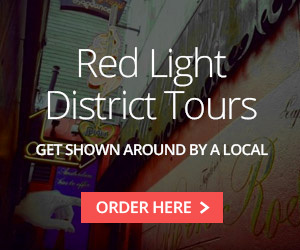 CLICK HERE to join one of our tours through the Red Light District. 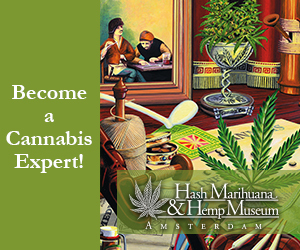 Or CLICK HERE to see the next hotspot in the Red Light District.